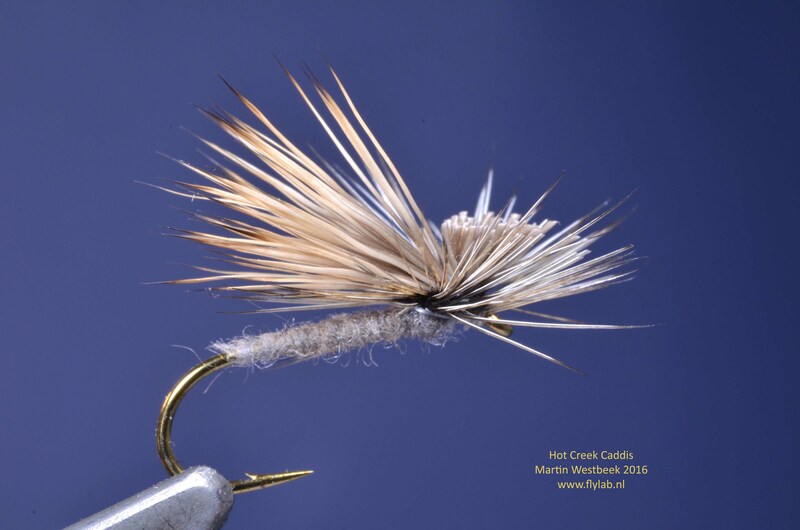 In 1981 Eric Cutter developed the idea of the E/C Caddis. That fly prompted the development of several other caddis flies tied with a parachute hackle wrapped under the wing and front part of the Elk hair. 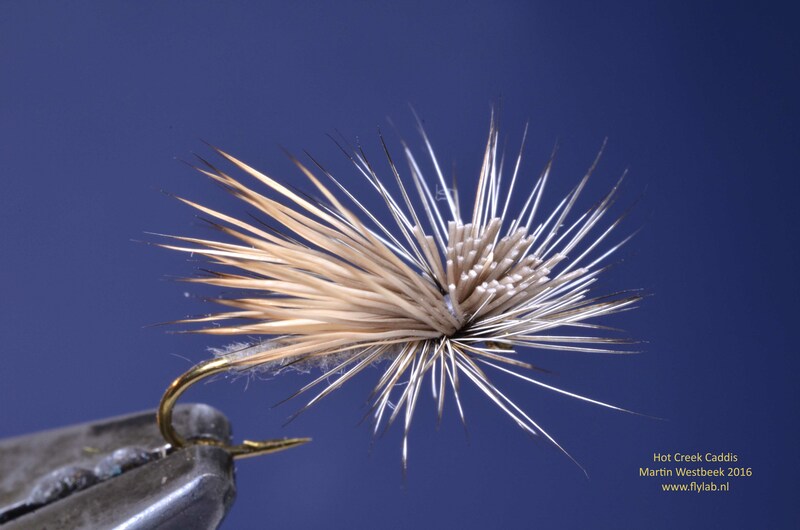 * After him Eric Otzinger came up with the Hot Creek Caddis, intended for the stream of that name in the Sierras.